Clarence Lewis Hartman obituary. Carnes Funeral Home. Clarence L. “Dutch” Hartman, 85, of Dickinson, Texas, passed away on April 10, 2016. Dutch was a Christian and is now with his Lord and Savior, Jesus Christ, in a much better place.Dutch was born in Dickinson, TX on May 8, 1930. He graduated from Dickinson High School in 1948. 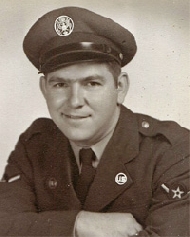 He then served his country in the U. S. Army Air Corps. Dutch worked numerous jobs at CAMCO for 30 years until retirement. He was a member of Faith Lutheran Church. Dutch was married to Bobbie Hartman on May 24, 1984; they were married 32 years. Dutch is preceded in death by parents, Clarence and Maude Hartman, sister, Bertha Andrues and step-son, Tim Fountain. Dutch is survived by loving spouse, Bobbie Fountain Hartman; children, Karan King and husband Lance, Donald Hartman and wife, Beth; step-children, Crystal Gimber and husband Gerry, Steve Fountain and wife Melissa, Donald Fountain, Leann Dempsey, Sherry Fountain; grandchildren, Dustin, Hunter and Dylan Hartman, Leslie Bannister, Lindsey Albers, Josh Fountain, Brittany Trevino, Tyler Fountain, Clint Morton, Taylor Morton and Ally Fountain and numerous great-grandchildren and other family and friends. Visitation will be held from 6-8pm, April 14, at Carnes Funeral Home - Texas City. Funeral Services will be held 10:00 AM, Friday, April 15, at Faith Lutheran Church, FM 517 in Dickinson. Pastor Deb Grant will be officiating. Burial will follow at Forest Park – East Cemetery in Webster, TX.